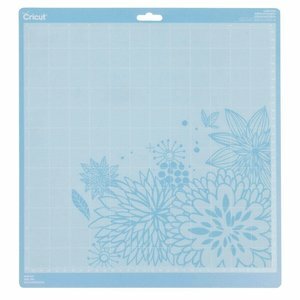 Cricut cutting mats have been customized to match commonly used crafting materials. Each has just the right level of grip to not only hold your material firmly in place during cutting, but to also allow you to easily remove the material from the adhesive surface. Specially formulated for lightweight materials, the long-lasting LightGrip mat allows you to easily cut and remove common office printer paper, vellum, light cardstock and more.